Move your message! According to this principle we place your advertisement exactly at the right touchpoint for your target group by using our mobile media. 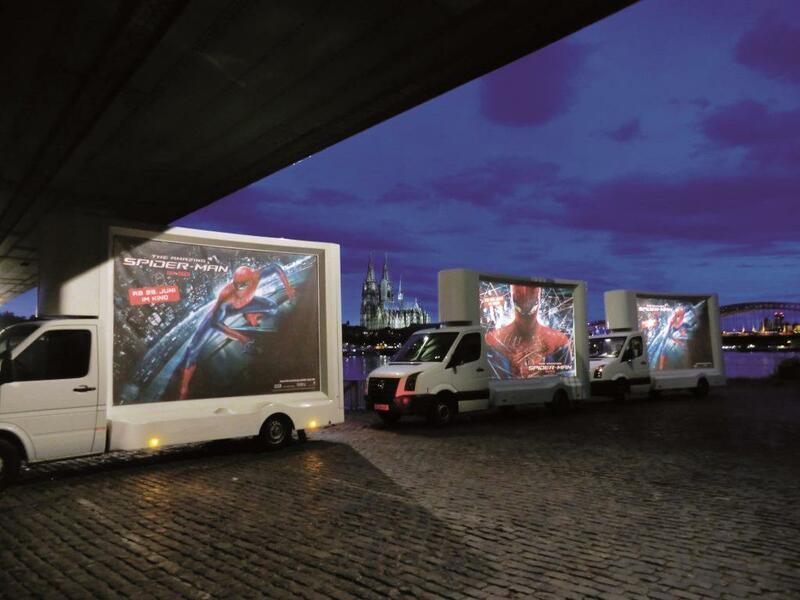 Our advertising vehicles are an eye-catcher – meeting your target group at the touchpoint they grab the attention in a special way. In doing so our mobile media can be deployed flexibly: As customer you may change route plans whenever requested, even on a short notice. Using several vehicles in a convoy ensures a particularly strong and impressive visual effect. 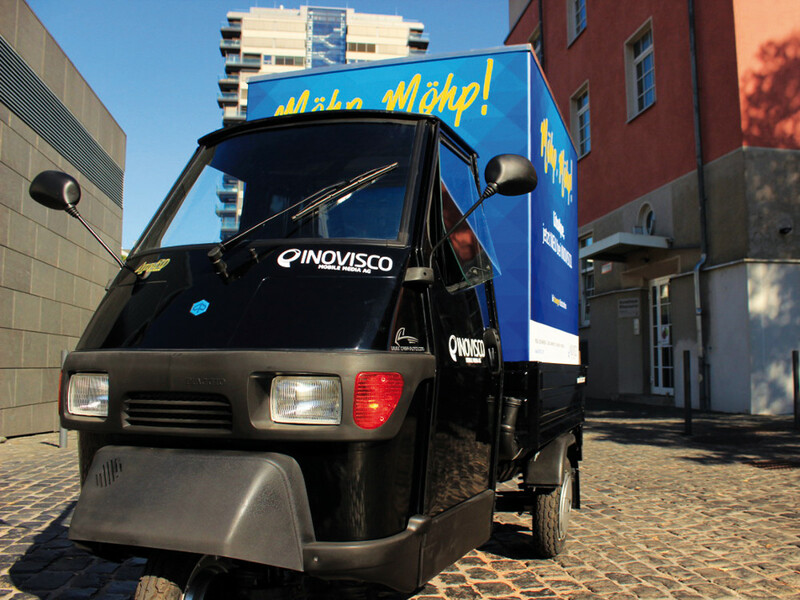 No matter where you want to start a mobile media offense – throughout the whole city, in front of special buildings, in pedestrian zones or in parks: our mobile advertising equipment can be positioned in every possible way to get in touch with your target group. 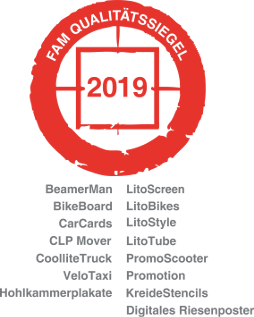 Choose the best vehicle from a large number of possibilities for your mobile outdoor advertising – such as motorized big pictures (format 18/1), scooter ad promotions, velotaxi advertisement or – as an environmentally friendly alternative – ad bikes with trailers. 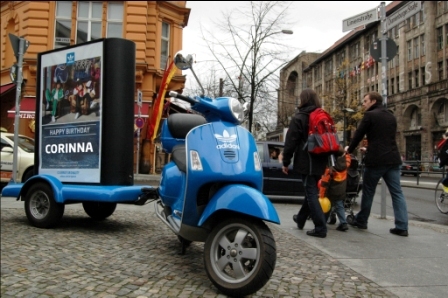 Right in the middle of the action: Use the cult Vespa scooters, liked by many, as advertising vehicles – on large squares as well as in narrow alleys. The LitoScreen is a real attraction: With an excellent picture quality, your target group will become aware of the advertising message. The advertisement will be presented on a digital screen that is swiveling and can be extended to 5 meters height. On a promotional tour? 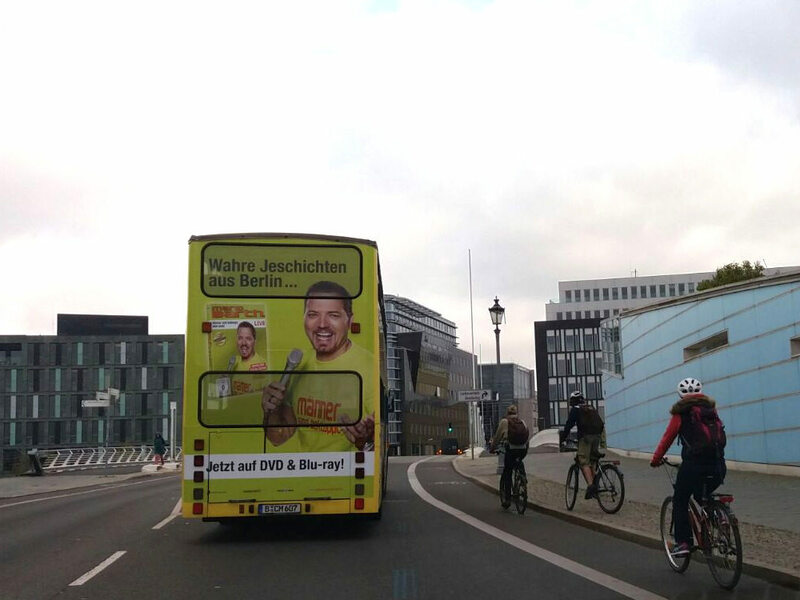 We design for your road shows busses with over 100 m² advertising space. 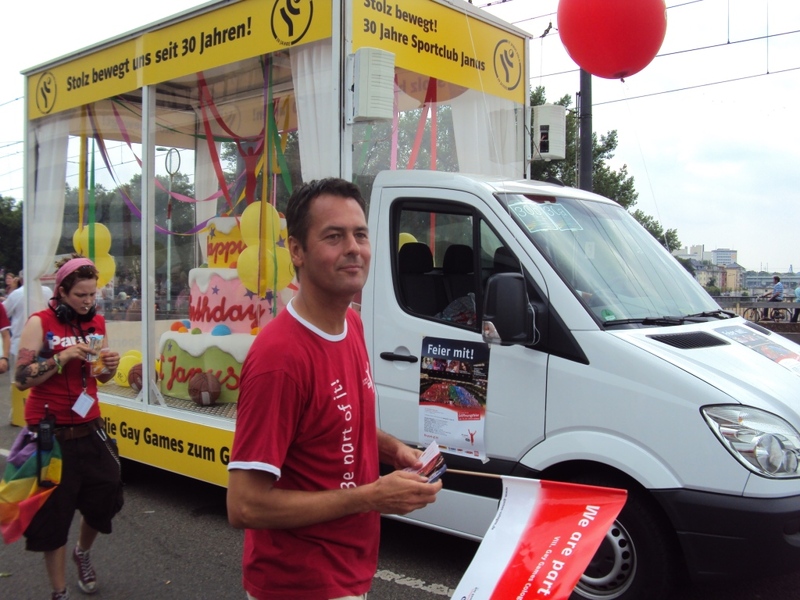 The PromoBus can also be used as a promotional area during shuttle services. 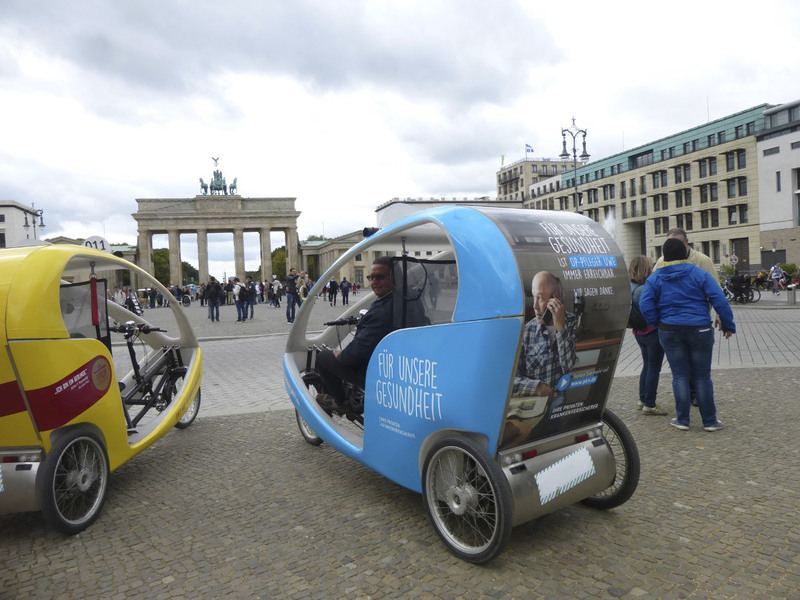 Your advertising in motion: passengers and pedestrians perceive velotaxi ads throughout positively because this medium is environmentally friendly due to zero emissions. Our LitoTube as advertising vehicle presents ad prints (format 18/1) on a concave background. A light and sound system provides additional attention. Our LitoStyle is a modern mobile advertising medium with 2 displays in 18/1 and a CLP format at the rear. Driving your message directly to your target group. 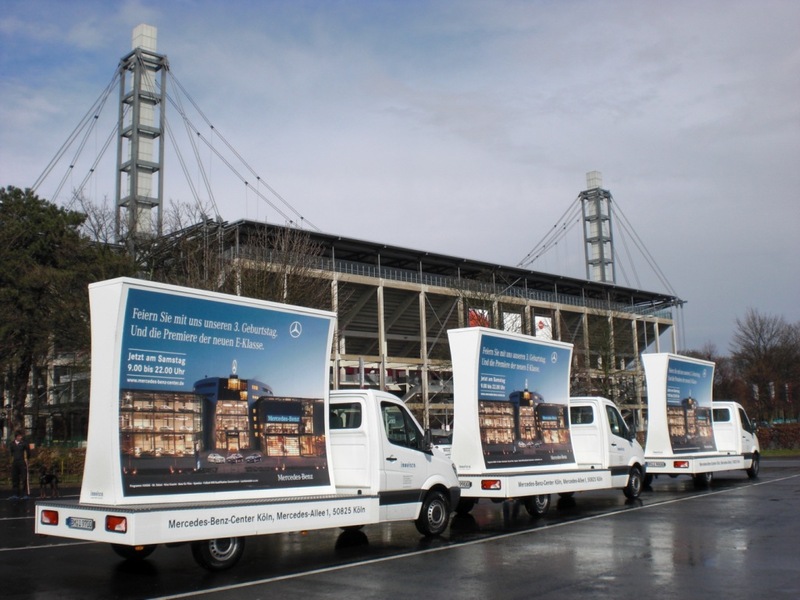 With the CoolliteTruck 2 oversize posters (format 36/1) are presented, driving your advertisement through the city and attracting attention wherever the truck moves or stands. The high-quality LED backlighting makes sure the posters are being noticed with guarantee. 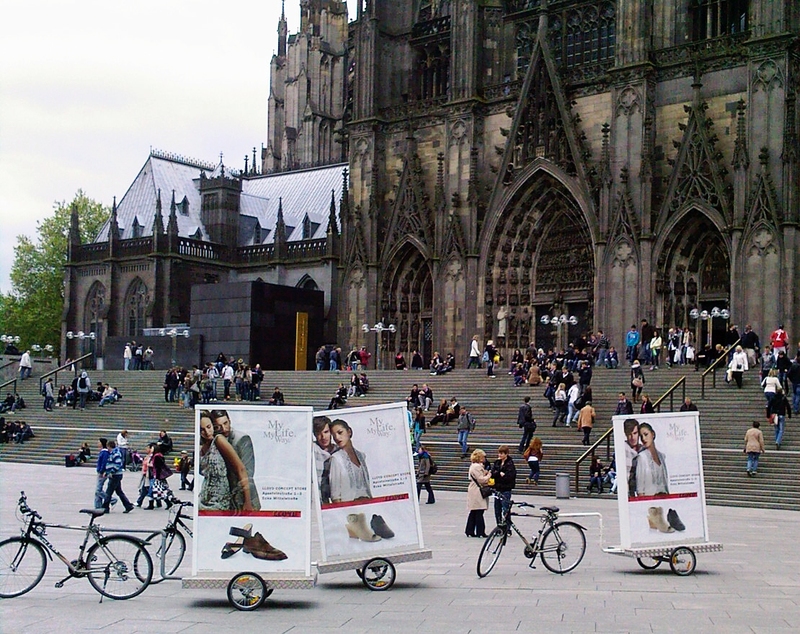 We send your advertisement on a city tour! 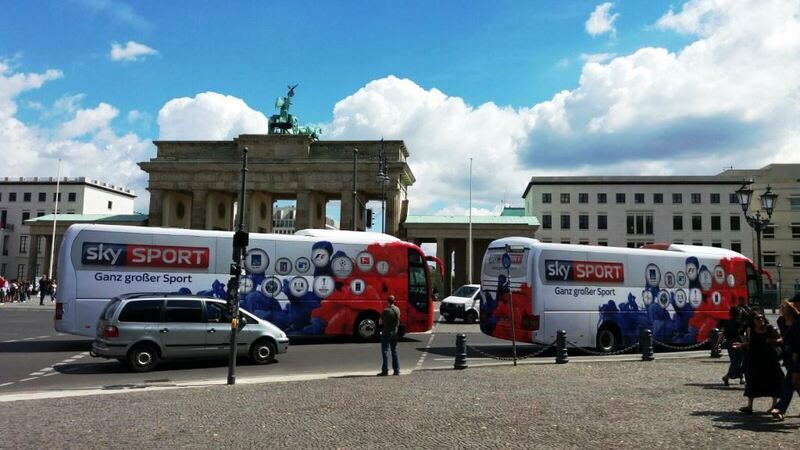 Advertise in and on sightseeing buses in the most popular German cities, as Munich or Hamburg. Your message will be presented to your target group at top tourist places several times a day. 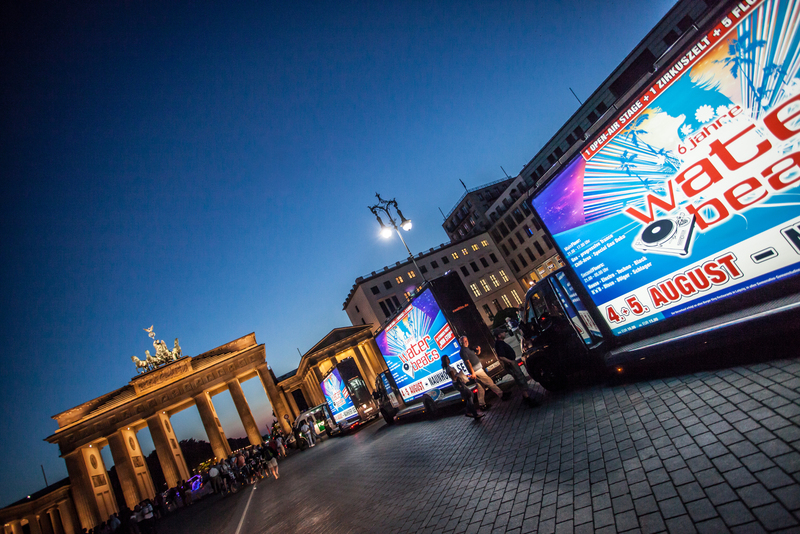 It’s magic: your advertisement glides through the pedestrian zone, attracts the attention of visitors at a fair or serves as an eye-catcher at your event. The CLP Mover is remote controlled and reaches magically your target group. We know how to pedal for your campaign. 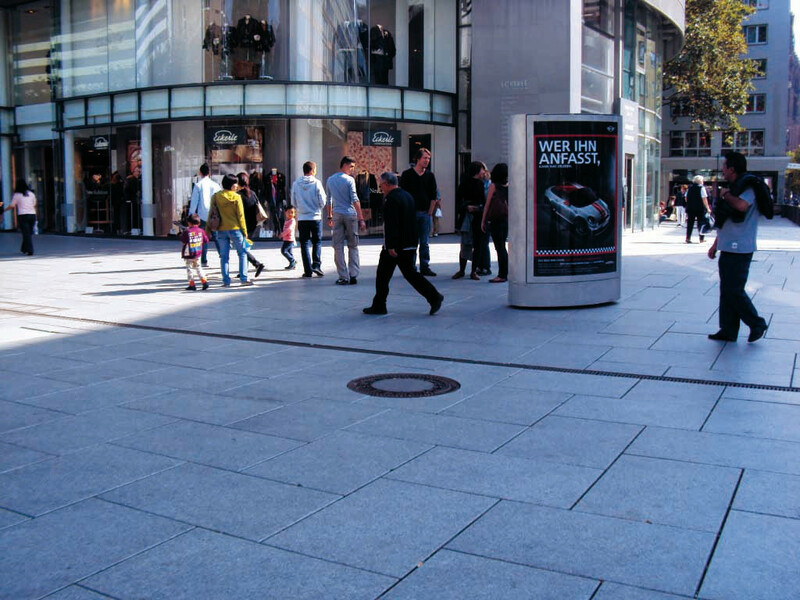 Our BikeBoards offer you the optimal advertising space for rolling out your media message in the inner cities and pedestrian zones. The LitoShowCase brings a 3D mobile shop window directly to your target group. Use the LitoShowcase and design the interior of the mobile shop window individually according to your own wishes. The LitoApe uses the charm of the Italian cult tricycle Ape for an enchanting outdoor advertising. The Ape benefits from a strong emotional popularity and is perceived with a smile by passers-by. 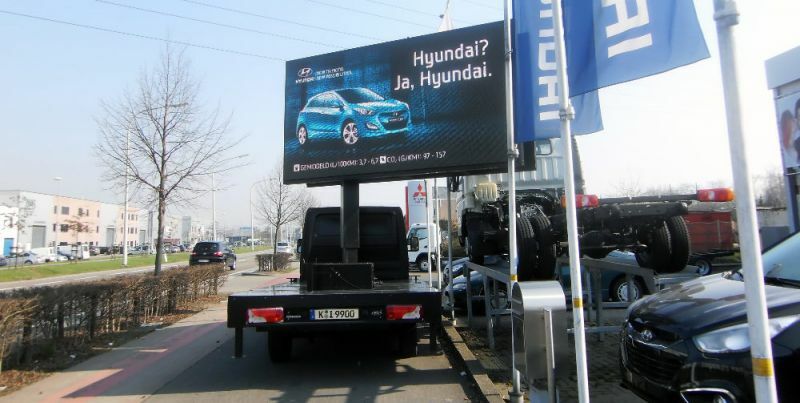 Absolutely precise: With the LitoCube we display your advertisement on 3 large LED screens, considering not only your target group and the location but also the time of day.